And here we start with the flashbacks! miss, did you lose something? Following a terrible day at work, Mo Sheng gets home only to find her light bulb is out so the most logical thing to do is to buy a new one. 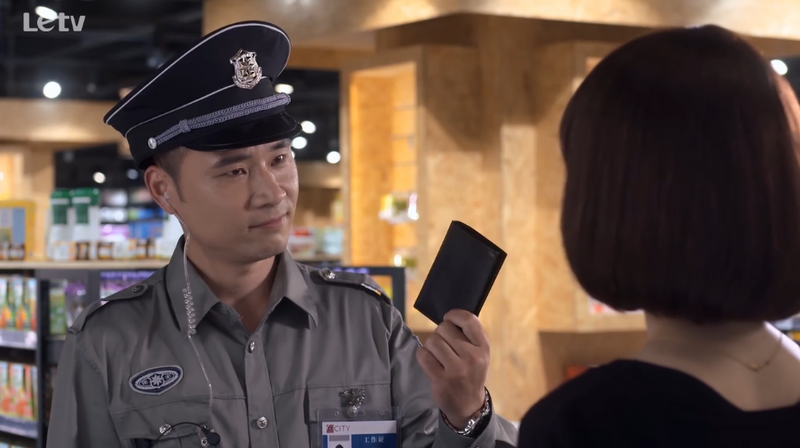 While at the market, the security guard runs over to Mo Sheng and hands her Yi Chen’s wallet. He insists that this might be hers, but she’s all like I didn’t lose anything. 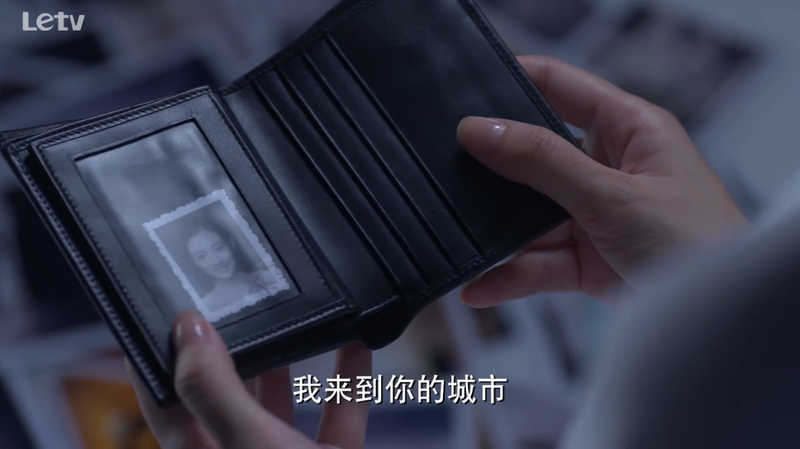 However, because her picture is in there, the security guard tells her that maybe the wallet owner is a secret admirer and since no one came by to identify it she should just take it home. 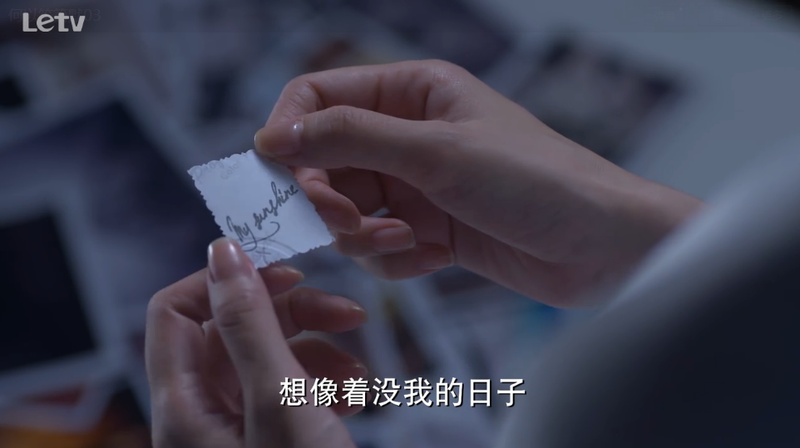 “my sunshine” in yi chen’s handwriting! Of course Yi Chen is not going to let this go. 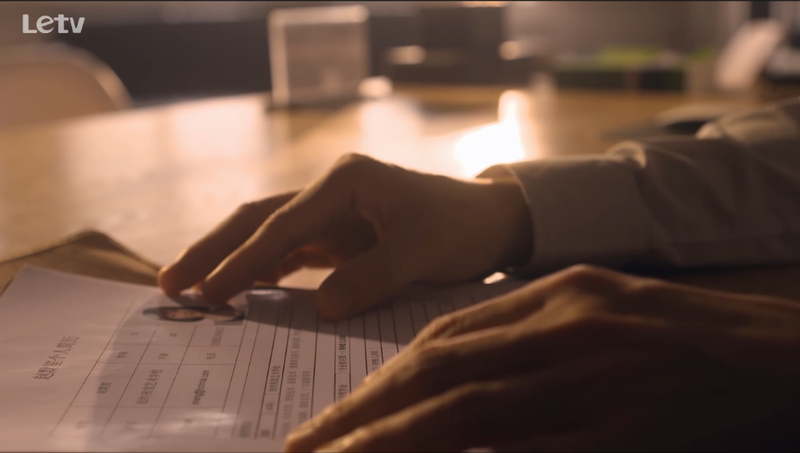 He heads over to the magazine company and identifies himself as Xiao Xiao’s lawyer to Mo Sheng. So what’s a girl gonna think? She begins to talk about the case, but HE is not there to talk about the case as she had thought, he’s there to get HER picture back. i know you want to smile, yi chen! Yi Chen: There was a picture in here. Do you know where it went? Mo Sheng: Sorry, I didn’t notice. Yi Chen: This wallet had nothing but this picture. How did you know it was my wallet? Can you give it back to me? Mo Sheng: It is my picture. I don’t have it here. Can I bring it tomorrow? Yi Chen: I don’t think we should keep too much contact, don’t you think? Mo Sheng: If that’s the case, then what do you need the picture for? Yi Chen: Who knows, maybe to remember my stupid past. What? Did she think no one would notice? Yi Chen turns around right away, walks over. She uses a super cheesy pickup line of how did you get into my scenery? And he responds by taking his leave and she runs after him, admitting that she was indeed secretly taking his picture. He asks why is she following him, and she tells him she needs his 411 so she can give him his picture. He refuses, so she says she will have to print out the picture and plaster it everywhere till someone can identify him. With no more excuses, he tells her his details. Atta girl! tell me your info now! 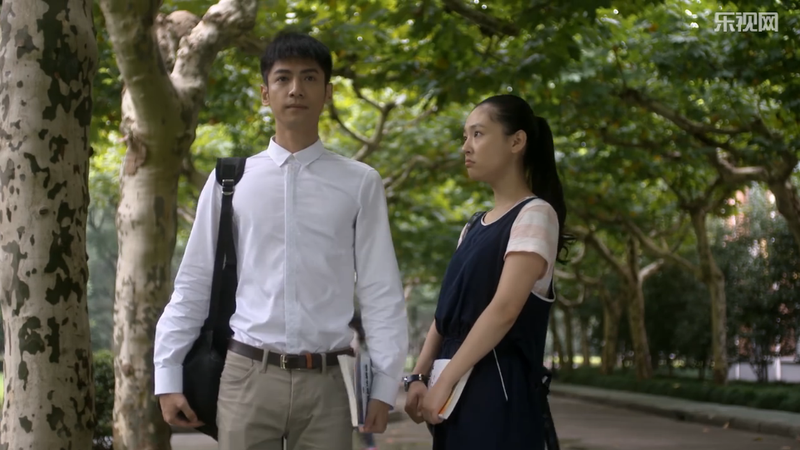 At the dorm, Mo Sheng meets her roommates, one of whom is Xiao Xiao, who also happens to be a chem major. Mo Sheng tells everyone her photography dream and the four of them takes a picture together for good measure. Some time later, Mo Sheng and Xiao Xiao take a look at the pictures Mo Sheng printed and Xiao Xiao mentions that she wishes her grandma could see the school so Mo Sheng gives her all the pictures to send home, well, all except one! Guess which? Some other day, Mo Sheng follows Yi Chen around until he finally turns around. He doesn’t remember her though and comments that people should not waste memory on unimportant things. She pulls out his photo and hands it over to him, not forgetting to congratulate herself on her excellent photography skills. He takes the photo, thanks her, and leaves. But of course, she continues to follow him and asks for the picture back because, after all, she took the photo. He questions instead if she really wants to debate with a law student about photo rights. She calls after him, saying that it costs at least fifty cents to develop the photo so he should at least take her out for a meal. 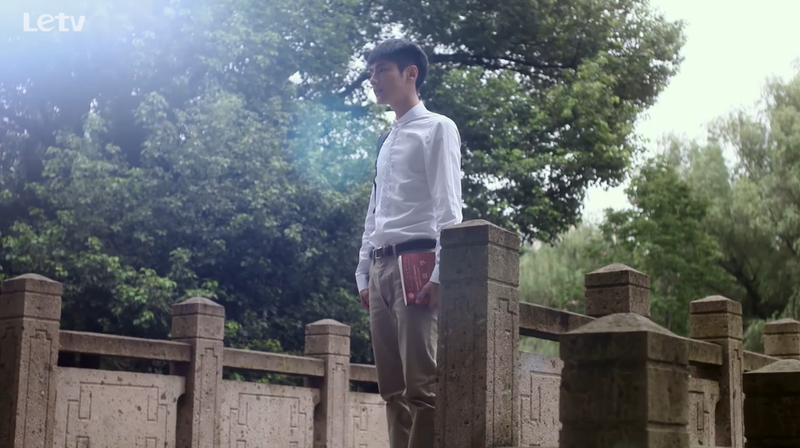 It’s as if fate has been decided for them, or maybe Mo Sheng is just a stalker. Hehe. 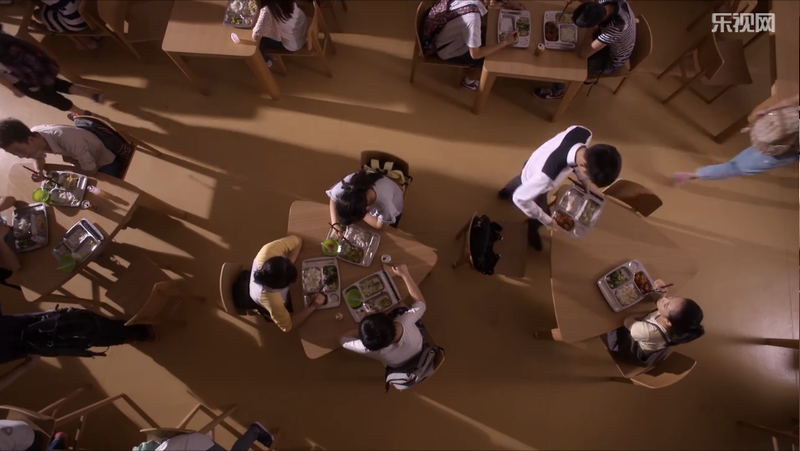 Anyway, they meet again in the cafeteria, and she decides to call him Yi Chen, but he tells her they aren’t that familiar. She ignores him and goes on to tell him her name, with full explanation of its origin and everything. He says he already knows because she wrote it on the back of the photo. He also asks why she’s following him, if it’s because of the food, ribs today, fish on Wednesday etc.. She happily replies yes, but he tells him there was no fish on Wednesday and leaves. Regardless, Mo Sheng takes this as a victory since Yi Chen now remembers her name! Oh hey, another “coincidental” meeting! They bump into each other again at the law library where he stops by after seeing her (oh, progress!). She tells him she really wasn’t following him this time, because she is here getting books for her law elective. He grabs another book off the shelf and hands it over to her, saying that book is more appropriate for beginners. He also thanks her for not bothering him. Yet another day, and it is raining! 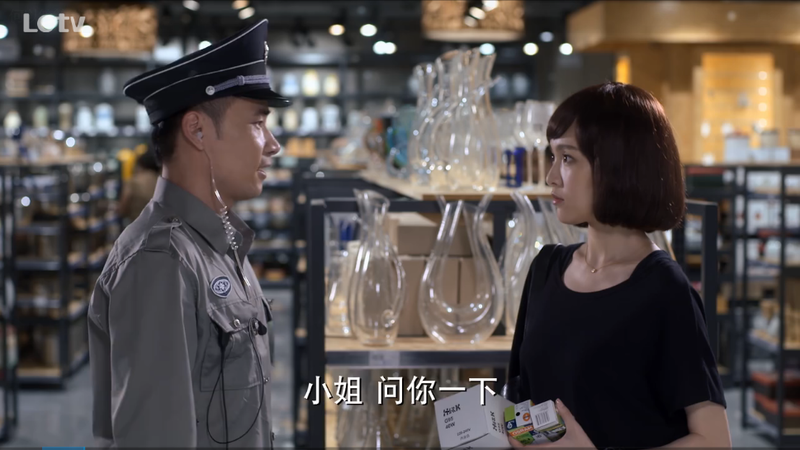 Mo Sheng “bumps” into Yi Chen on campus and gives him a bunch of yogurt drinks. Of course, Yi Chen is too much of a man so he refuses them and tells her again not to waste time on him. He returns to his dorm and drinks energy drink instead while looking over the photo Mo Sheng gave him. Ah, there is definitely progress now. Oh, and Mo Sheng, try buying red bull next time; it gives you wings! Mo Sheng couldn’t figure out what light bulb she needs because she doesn’t know the brand, type, etc… Uh, who goes out to buy stuff like that? The magazine editor announces that the magazine increased 50% in sales, and everybody compliments Mo Sheng on a job well done. Editor Wen walks in just then and everybody changes the topic to the newest gossip about her – apparently her husband cheated on her and left with the family’s entire savings. Xiao Hong describes Yi Chen as more handsome than Davy Morgan. She tells Mo Sheng that Yi Chen is like a God given meat filled pancake, and that she should rush over to have a taste. And even if she can’t get a taste, she should get closer to sniff some of the scent. At their first face to face, Yi Chen calls Mo Sheng “Ms. Zhao” and she calls him “Mr. He” in return. LOL. yeah i also really liked the flashback. it’s so sweet! ah, what it is like to be young and in college again!